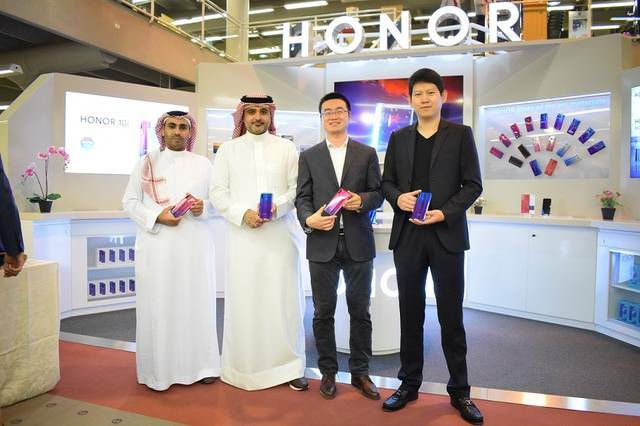 Riyadh – Mubasher: HONOR, Huawei's leading smartphone e-brand, has launched its first retail presence in Saudi Arabia through opening its first shop-in-shop at Jarir Marketing's Ahsa showroom in Riyadh. “With the growing trend of customers making informed decisions about their smartphones in the kingdom, [HONOR is] committed to being present where they are, which aligns with [its] business objective of expanding HONOR’s footprint in the GCC,” HONOR's president for the Middle East and Africa, Chris Sunbaigong, said. The newly-launched HONOR 10i is expected to be available at the shop-in-shop, which will provide customers with an interactive and customised shopping experience and exclusive consultation services, as of 18 April, according to a press release.